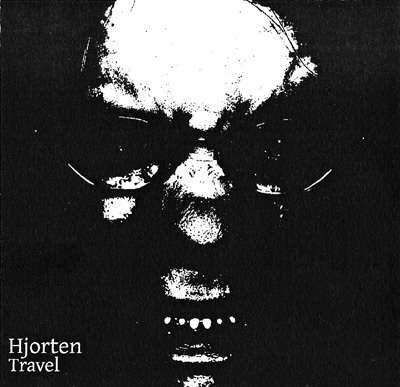 Hjorten’s Travel is based on just that and with two tracks on this quick little 15 minute release the concept is very clear. This is my first exposure to the sounds of Hjorten but right off the bat it’s obvious he likes to use the sounds of field samples heavily processed. “Trains” is the first track here and uses sounds of trains creatively to produce an atmosphere that both abstracts the sounds but also pounds them into your skull. It’s like he turns trains into these enormous subterranean beasts a la Tremors or something. The musty air of the train passing by is meshed into these airy moans, cut up conversations of people pitched and cut into sounds of disarray like a blind person fumbling about in an unknown environment. “Stairs” is more understated but follows the same compositional medium with the heavy use of field samples. The style here definitely falls under the electroacoustic realm. Creaking doors, machine hums, dead air, room tones all of these things converge to form Hjorten’s surreal world. I sometimes find the editing to be a little arduous, the clicking and cutting is a little jarring coupled with so much subtlety it just doesn’t seem to always mix. There could be a bit more processing and dynamics in each track because after a few minutes both seem to become rather monotone. But all in all this is definitely an interesting effort and you can easily hear how Hjorten has tactfully created many new and interesting elements out of a small amount of original material.